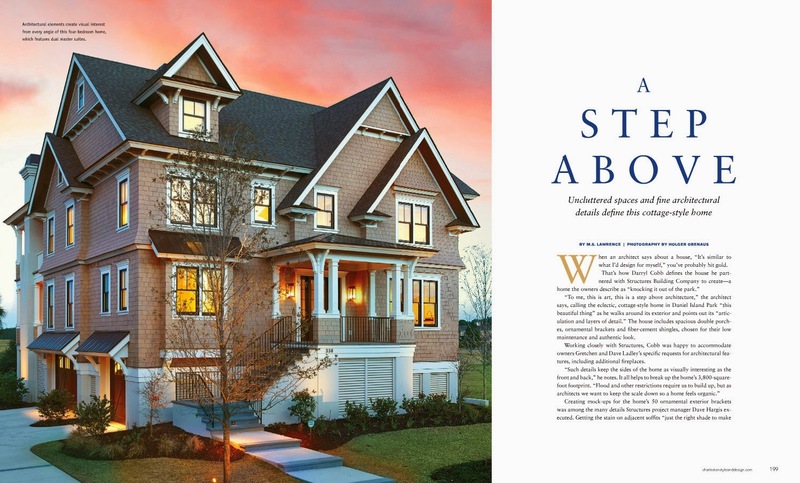 Be sure and pick up Charleston Style & Design’s Winter 2014 edition…that stunning home on the cover is a Structures DesignBuild project! The custom home, designed by Cobb Architects, is located in Daniel Island Park and has a lovely view of the golf course. To read all about the home and see more photos, pick up the magazine at one of several Lowcountry locations or at Barnes & Noble – or view the digital edition HERE.